This year was not a big year for birds for me, however that does not mean it was without birds at all. I actually ended up gathering quite a few bird photos, I just ended up having to spend most of my time processing my astrophotography (which requires a hundred times more effort than regular photographer per image.) I have a bit of a backlog of bird photos to share. One of the most amazing moments this year was when I started to walk across a bridge in Cherry Creek. This bridge crosses over one of the inlets from the Cottonwood Creek Wetland into Cherry Creek Reservoir itself. 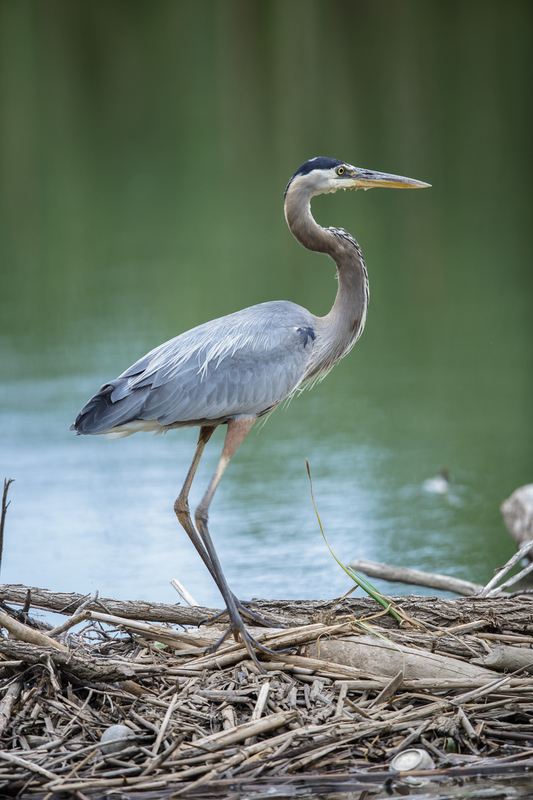 There is a small dam there, and usually it’s empty…however on this day, there was a great blue standing right out in the open on the middle of the dam. These are some of the most skittish birds in Colorado, they really don’t like to be disturbed, and will fly at pretty much anything. For some reason, this one turned his head and looked at me, and just stared. Blown away, I dropped my tripod, upon which my lens was already situated, lightly onto the wood bridge and framed a shot. Great Blue took a step just as I opened the shutter, and slowly moved towards a log jutting out of the dam. Still, he didn’t fly, so I grabbed a couple more shots. Earlier that same day I’d captured some other shots of another GBH. I was struck by how deftly and with barely a ripple he would jab at the water. Snowy Egrets have a rather apt name…they are quite eager, and often slosh and splash about in their jabs for prey. The Great Blues, on the other hand, are slow, careful, calculating and extremely precise. Barely a ripple. Terrific shots of my favorite bird! 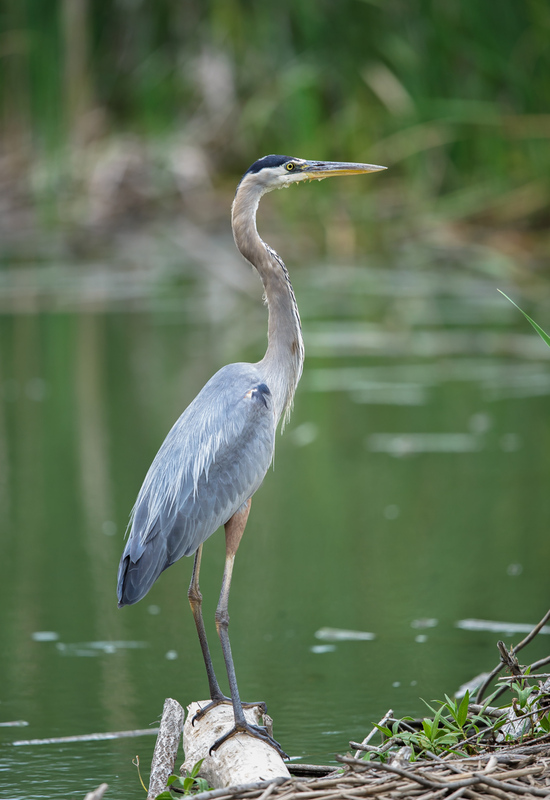 Nice that you were able to see both juvenile and adult of the Great Blue Heron that day!! Lovely detail!! I know sometimes if I am shooting where there are joggers or walkers, they never really seem to pass by unobtrusively and quietly as to not alarm the bird. But, maybe those courtesies are only given by other photographers who understand the waiting and patience with getting nice bird shots…or maybe any other skittish subject. Can’t wait to see more. I love birds! I had a chance to get a handful of good shots this past year as well.